There are lots of new resources available to those who Geo Model. 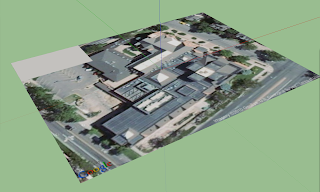 You are now able to use aerial photography, StreetView and Google Earth images to build your geo located models. Google has a massive database of imagery of the planet, and its now even easier to access it right within Sketchup. You can now import Google Earth imagery into your model, in color, without the need to have Google Earth installed anymore! Color terrain data and imagery in Sketchup, and its in COLOR! Pretty cool! You didn't even need to leave Sketchup to get all of this. Using different scenes, you can "enter" each image and start drawing on top of it. 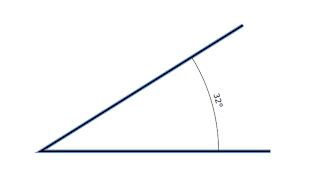 If a particular image obscures the geometry that you need to draw, simply move to another scene. All you have to do is zoom out, double click on the image, and then you are automatically taken "into" that image and you can start drawing on top of it. I think this feature is going to be great not just for modeling buildings, but for modeling just about any object. 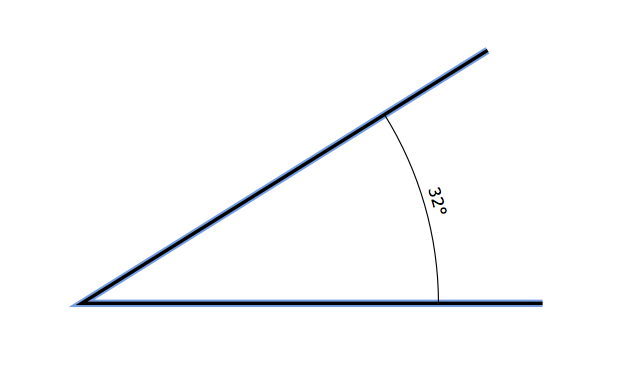 In the coming weeks, I am going to take some pictures of objects from multiple angles and model them. There has been a nice update to the Styles window as well. 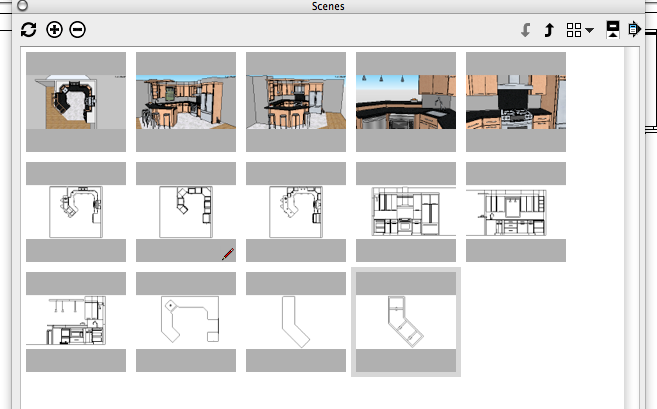 You now get thumbnail images of each of your scenes! This is really helpful when you create models with lots of scenes. There has also been another interesting update to the Styles tool. You can enable something that is called "Back Edges" Basically, it shows what would normally be hidden lines in your model. This is a little trick that drafts people use to illustrate lines that are important, but wouldn't be seen in a particular view. 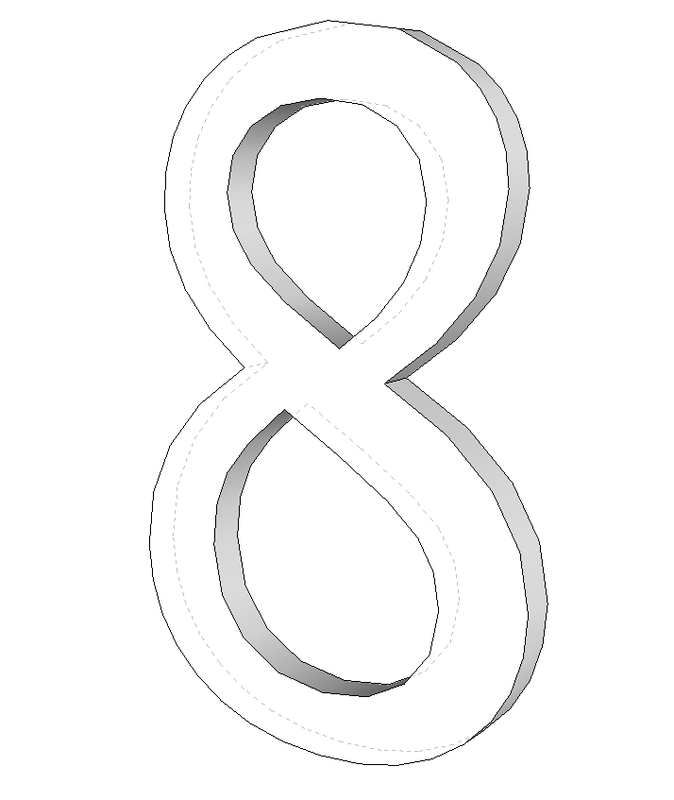 You could do this before in Sketchup by using a transparent color, but this option is much better because the hidden lines are dotted automatically. 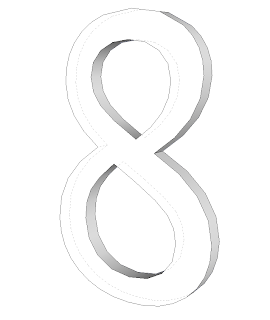 If you look closely, you can see the dotted lines in the back of the "eight". Sketchup is a "Face modeler". In other words, everything that you model is made up if faces, and isn't "solid". A lot of solid modelers have tools that allow you to intersect, union, and subtract from "solid" objects in the model. 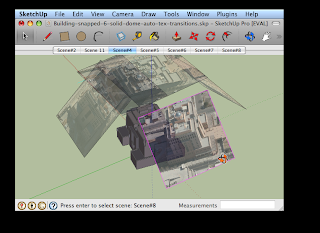 In Sketchup 8, there are now "Solid" tools offered to help you model. Think of it as a huge upgrade to the "Intersect with model" tool. 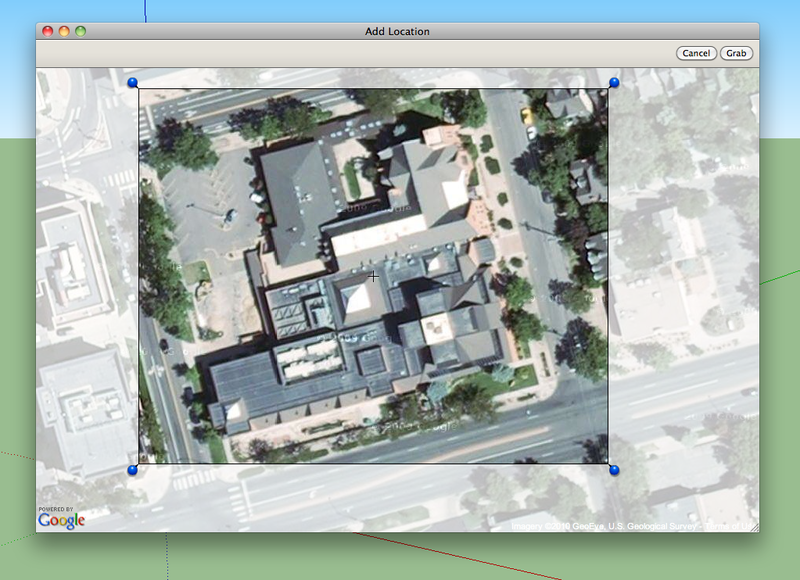 The intersect tool is a great tool, but sometimes it can be a little tricky to get it to do what you want it to do. With these new tools, its really easy to make complex geometry. There are a bunch of other improvements as well. In the coming weeks, I will be covering these. 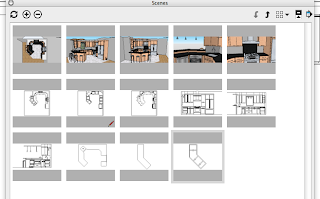 In the mean time, I will be at Basecamp learning from the Sketchup creators all there is to know about these exciting new tools and features!